"Then I discovered one that was set on an outback cattle station and I thought 'wow'. "And it was awful and I just thought, 'ok, I'm going to write one'." I won't name names, but I started writing my first book after a similar realisation. I wonder how many authors get started with some 'negative inspiration'....? So in the spirit of the holidays I tracked down Heather Cole's book for a gratuitous shout out. 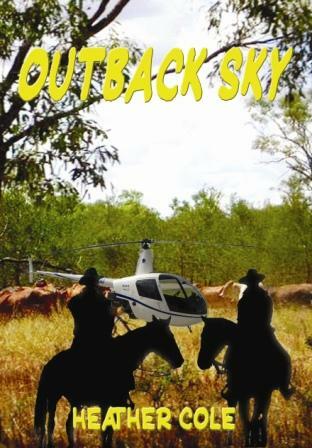 It is Outback Sky. It may be well written but at $24 for an 170-page book I am not sure it is well published. James Hogan got into writing SF exactly that way. :) He was a computer salesman in his previous life, and was an SF fan, but he was reading this one book (or it might've been a few in a row, I forget now) and thought something along the lines of, "This is garbage! I could do better than this!" And he did. His first novel was Inherit the Stars, which is a brilliant piece of hard SF.